Clyde Y. Wong, MD is a board-certified family medicine physician with over 30 years of experience. At HT Family Physicians, a renowned family practice with two locations in the cities of Stockton and Lodi, California, he offers a complete spectrum of health care services, including adolescent care and gynecology, to patients in the greater San Joaquin area. As a doctor who emphasizes preventive care, Dr. Wong believes that regular checkups and health screenings, along with a collaborative relationship between doctor and patient, are the keys to obtaining and maintaining good health. He’s committed to providing high-quality medicine with compassion. After growing up in the Central Valley of California, Dr. Wong attended the University of the Pacific in Stockton, where he graduated at the top of his class. He subsequently attended Stanford University School of Medicine, earning his medical degree in 1983. He went on to complete his internship training at Cedars-Sinai Medical Center in Los Angeles, and his residency training in family medicine at Harbor-UCLA Medical Center in Torrance, California, where he served as a resident scholar. 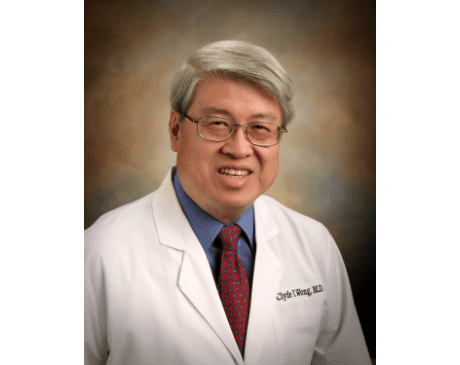 Dr. Wong belongs to the American Academy of Family Physicians, California Academy of Family Physicians, American Medical Association, California Medical Association, San Joaquin Medical Society, Stanford Medical Alumni Association, and the Christian Medical Dental Association. He’s affiliated with Doctor’s Medical Center of Modesto, Memorial Medical Center, and St. Joseph’s Medical Center of Stockton. Dr. Wong enjoys spending time with his wife and two children. He also enjoys playing basketball, fishing, and gardening, and is fluent in Cantonese.